Pre-application of water use licenses submitted to DWA – letters issued. Approval from Department of Agriculture, Forestry and Fisheries (DAFF) for the long term lease of project areas. The Environmental Authorizations (EA) cover the following technologies: PV, Tracked PV, CPV and dish Stirling. A bid has been submitted for one of the projects in Round 3 of the Department of Energy’s IPP programme (http://www.ipprenewables.co.za). 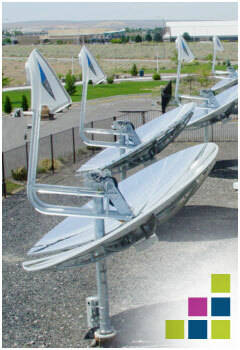 Among thermal CSP technologies dish Stirling systems offer the highest conversion efficiency. However, the first generation dish Stirling systems utilized a complex kinematic Stirling engine, which was not only expensive but was also prone to breakdowns and which resulted in high maintenance costs. Great progress has been made over the last decade in the development of a dish Stirling system based on the free-piston Stirling concept, which is significantly more simple and reliable than kinematic Stirling engines. Other unique features of this system are no need for water, very high reliability, high efficiency, low environmental impact, minimum use of land area, rapid deployment and modular approach which makes this technology suitable for projects from 3 kW to 300 MW+. 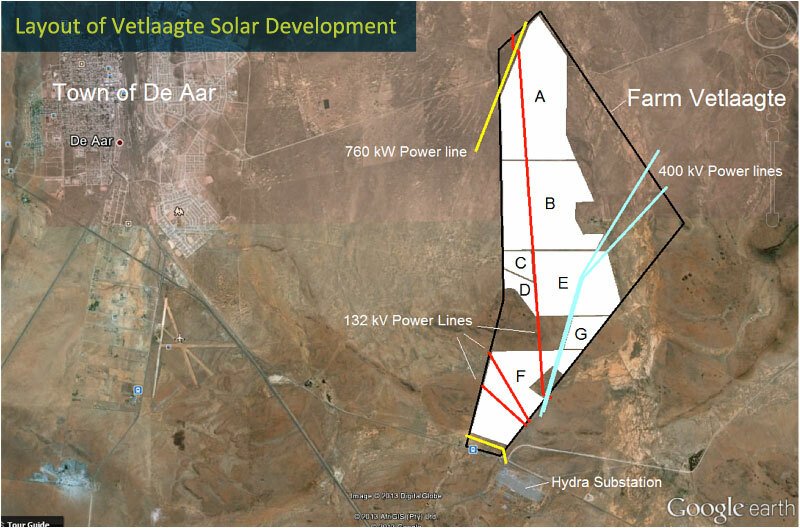 The project will entail the erection of a 20 MW PowerDishTM Stirling CSP power plant in South Africa. Low construction interest as blocks of 1 MW or more can be commissioned and connected to the grid. This implies rapid generation of income. The study showed that the LCOE of the PowerDishTM compares favourably with that of PV plants, especially in warm climates with a high direct solar irradiation (DNI).